2015, Conference-Attended: Partial Rank Aggregation Using Mutiobjective Genetic Algorithm: Application in Ranking Genes, Venue: 4th-7th Jan./2015, ISI, Kolkata, India (IEEE Xplore). 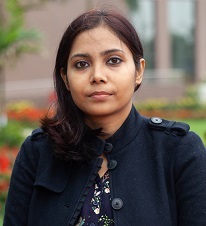 2014, Conference-Attended: Predicting Protein Subcellular Localization: A Multiobjective PSO-based Feature Subset Selection from Amino Acid Sequence of Protein, Venue: 22nd-24th Dec./2014, Bhubaneswar, India (IEEE Xplore). 2013, Conference-Attended: Fuzzy Rule-based Classifier for Microarray Gene Expression Data by Using a Multiobjective PSO-based Approach, Venue: Hyderabad, India, July 2013 (IEEE Xplore). 2013, Conference-Attended: A PSO-based Rank Aggregation Algorithm for Ranking Genes from Microarray Data, Venue: Thessaloniki, Greece, September, 2013 (ACM). 2013, Conference-Attended: An Improved Minimum Redundancy Maximum Relevance Approach for Feature Selection in Gene Expression Data, Venue: Kalyani, West Bengal, India (Procedia Technology, Vol. 10, pp. 20-27, Elsevier). 2012, Conference-Attended: Unsupervised Non-redundant Feature Selection: A Graph-theoretic Approach, Venue: Bhubaneswar, India, December 2012 (AISC Springer). 2012, Conference-Attended: A Hybrid Multiobjective Particle Swarm Optimization Approach for Non-redundant Gene Marker Selection, Venue: Gwalior, India, December 2012 (AISC Springer). 2012, Conference-Attended: �Identifying Most Relevant Non-redundant Gene Markers From Gene Expression Data Using PSO-based Graph -Theoretic Approach, Venue: Solan, India, December 2012 (IEEE Xplore). 2012, Conference-Attended: Multiobjective particle swarm optimization based ontology alignment, Venue: Solan, India, December 2012 (IEEE Xplore). 2014, Training-Attended: Workshop on Computational Methodologies and Application, Venue: University of Kalyani, W.B., India.